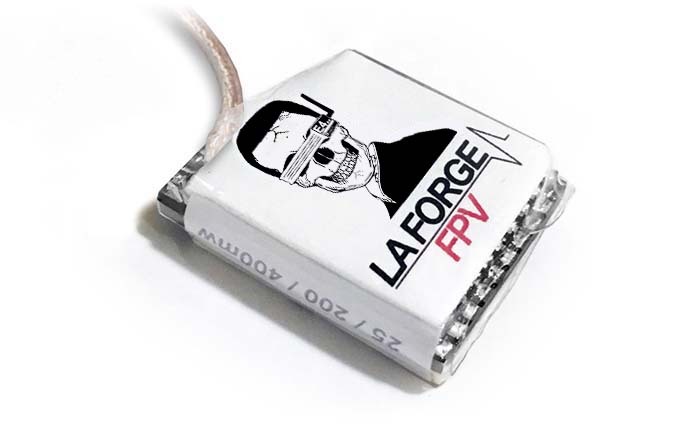 The 25/200/400mw adjustable vTX module allows for the fastest channel switching in the industry. 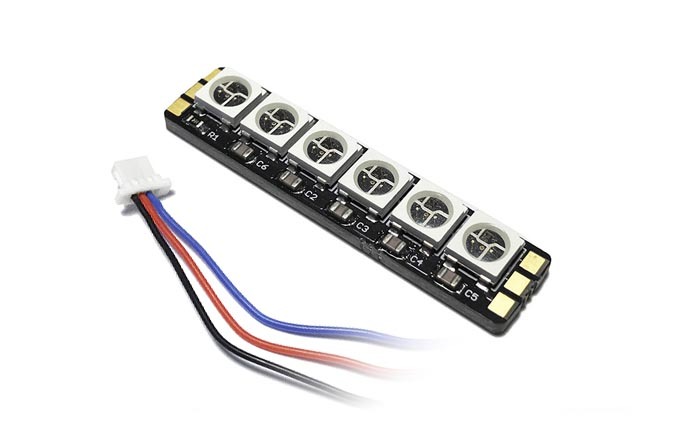 With IR (infrared) technology you can quickly switch any setting from your Main Module or the VTX Remote. 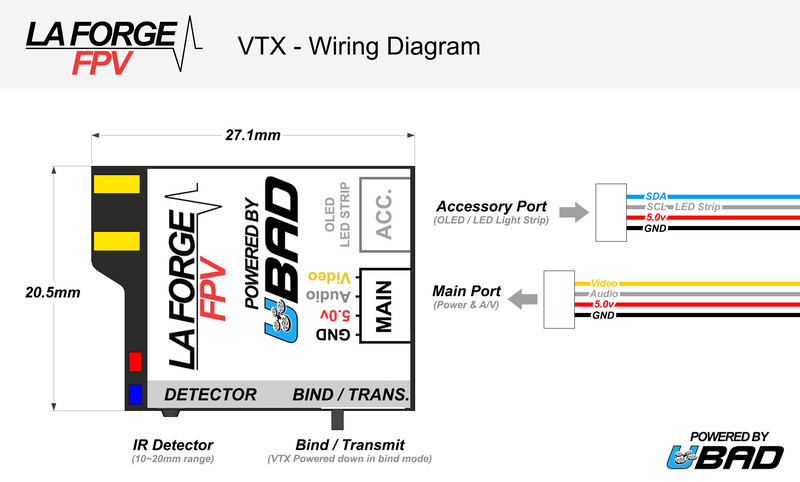 Custom engineered VTX module capable of transmitting clean RF signal at 25mw, 200mw or 400mw. 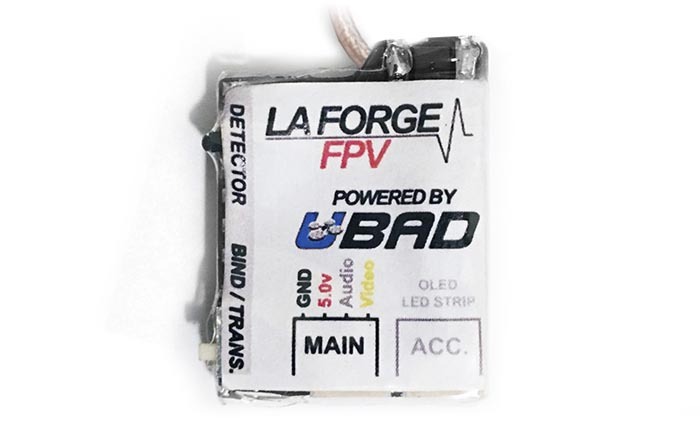 Quickly receive all settings from the IR Remote with our Quick-Bind infrared protocol. 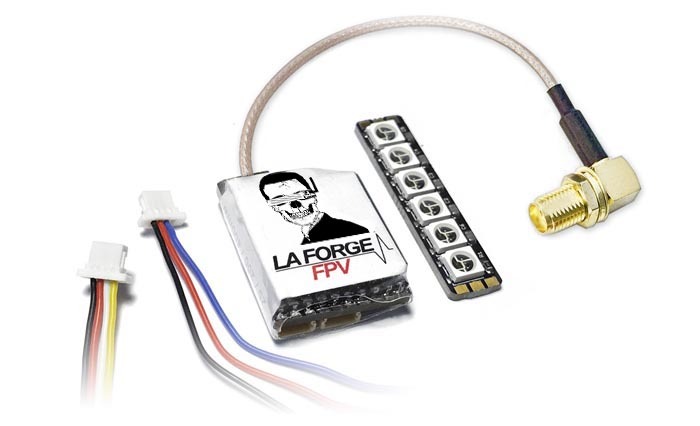 Plugs the LED Strip directly into the accessory port for added personalization. Indicates power (red) and bind/transmit status (blue). Payload only received in bind mode. Quick Boot Startup with last received channel and settings. 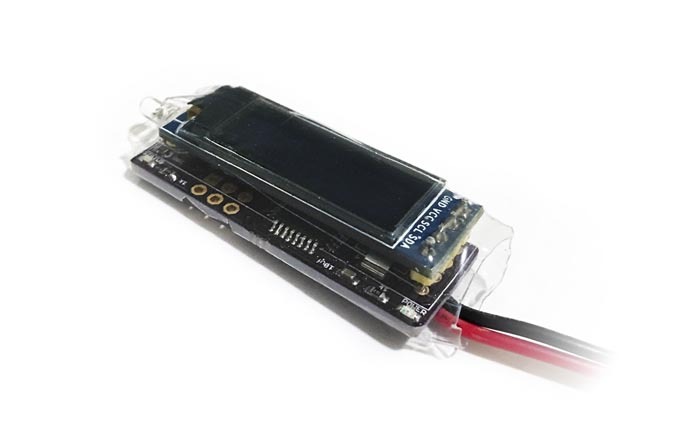 Accessory Port Attach an LED-Strip or OLED display for an even more personalized experience. 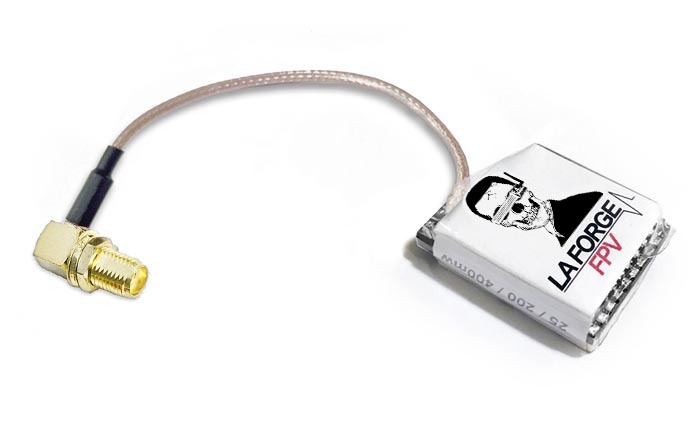 Audio Ground Reduce RF bandwith by setting the audio ground setting. Bind Switch Switch between bind and transmit modes. 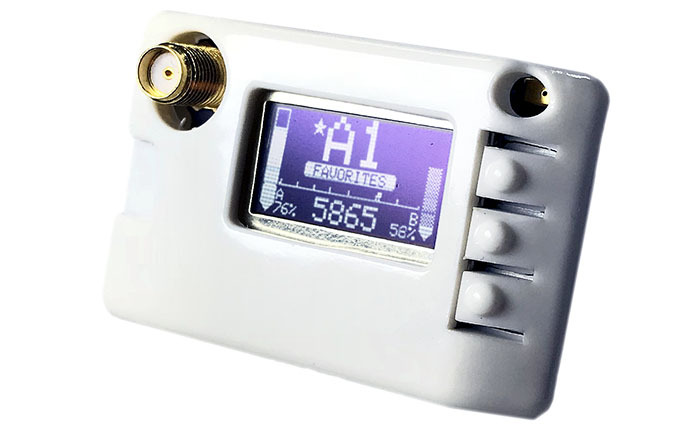 25/200/400mw switchable transmitter power level. 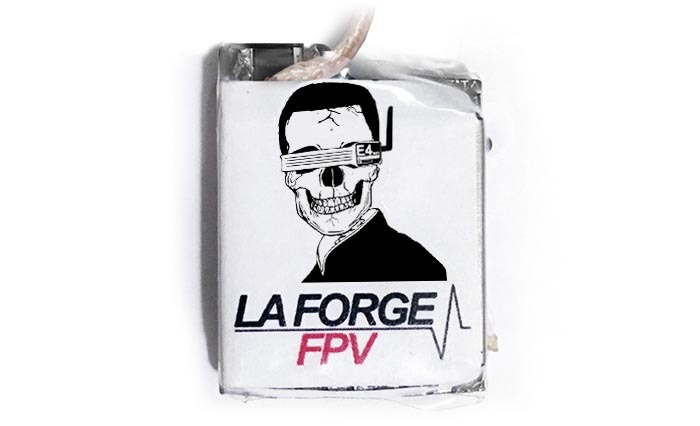 Designed around a custom vTX module only found on LaForge FPV Products. Values may very depending on frequency and temperature.